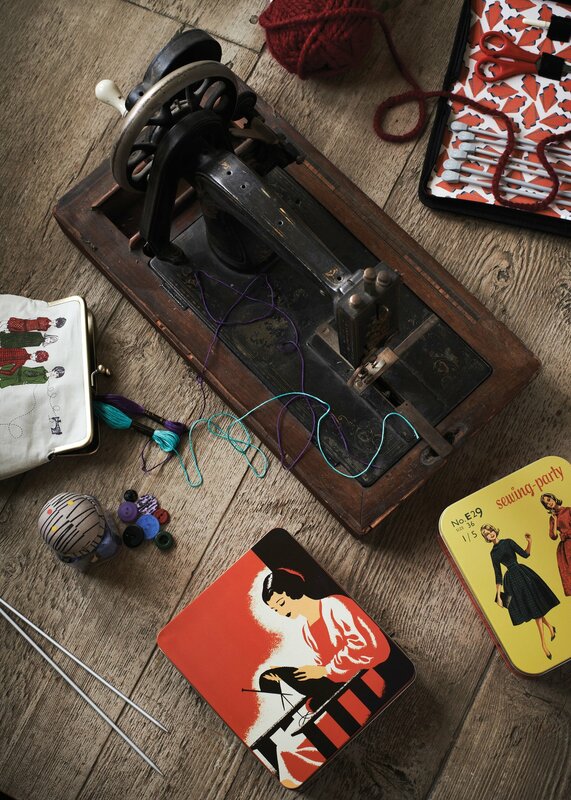 Sewing is a theme that runs deep at here at HemingwayDesign. Wayne’s family were avid dressmakers, and his childhood was filled with fabric and thread – with the latter usually found trailing from underneath his shoes. Whereas Gerardine is a self-taught seamstress, and her skill and love of fashion led to the formation of Red or Dead, the Hemingway’s first brand. As part of John Lewis’ 150th anniversary celebrations, we were asked to design a haberdashery collection inspired by one of John Lewis’ vintage prints, ‘Ladies’. We jumped at the chance, and you can see our extended range at Unique & Unity, as well as the original designs over at John Lewis.